Q: Must I put down a deposit to hold my event date, and if so, how much? A: Yes. There is a $2000 deposit for all events, which is applied to the total price of your event. Q: What forms of payments do you accept?? A: We accept personal checks, cashier’s checks, money orders, and cash. We do not accept credit or debit cards of any kind. Q: Do you offer a payment plan for the balance of my venue rental fee? A: We do not have a set payment schedule. If you are not paying for your reception in-full at the time of signing your contract, you may make payments toward your balance at your leisure. The final balance must be paid in-full no later than one month (to the day) before the date of your event. A: Yes. We understand that life is not always predictable. Should you need to cancel your event due to unforeseen circumstances, The Balcony Ballroom will refund you all payments made with the exception of your $2000 deposit. Your deposit shall be refunded only if the venue is booked by a new client for the same date and time of your cancellation. The re-booking party must be of equal or larger size in order to redeem your deposit. If your contract is not fulfilled due to disaster (both natural or otherwise), acts of God, or military deployment, all payments, including the deposit, will be refunded or reapplied. Neither The Balcony Ballroom nor the contracted party will be held responsible. Q: May I choose the time of my event or does the venue have a set schedule? Q: May we hold both our ceremony and reception at The Balcony Ballroom? A: OF COURSE!!! There is an additional $1,000 charge to have your ceremony at the Balcony Ballroom and you must provide your officiant. Our staff has the room transitioned from ceremony-style seating to reception-ready in under 3 minutes! Don’t believe us? Just watch for yourself! Q: May I extend my reception past the offered 3-hour time limit? A: You are welcome to add one additional half hour to your reception. This fee is $1,000, and covers all food and drink served during that half hour of additional time. Q: May we have a live band at our event? A: Of course! There is a $500 surcharge when having a full-sized, live performance band. This fee covers the logistics incurred preparing the venue for a live performance (i.e. room reconfiguration, extra staff, clean-up). This cost also covers band member food and beverage during the event. Band members will not be included in your final head-count. There is no additional fee to bring in a Second Line Band. Q: Do you offer a food tasting beforehand? You don’t have to choose, everything is included! Our Executive Chef has over 15 years of fine-dining experience. You can view his bio here. Please let us know if you have any food allergies or if you prefer a specialty cuisine. We will do our best to accommodate you. The Executive Chef and Sous Chefs prepare your food fresh, specifically for your event. Menu items are chef selected with seasonal, locally-sourced ingredients. For these reasons, tastings are neither available nor necessary. Q: May the bridal party dress at the venue before the ceremony/reception? A: Only the Bride may dress on site. Everyone’s hair and make-up should be applied prior to arrival. 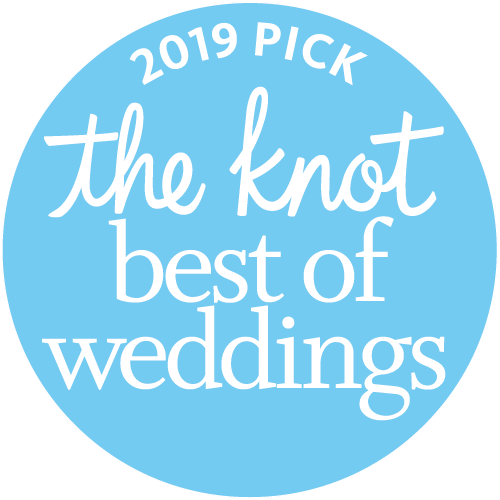 All bridal party attendants, family members, and children need to arrive fully dressed and ready to rehearse for the ceremony. Q: I’ve booked my ceremony/reception with The Balcony Ballroom! Now what? A: Aside from making payments toward your final balance, we will need to meet with you the week of your wedding. This is when you will have your final meeting to confirm all of your ceremony/reception details. In the meantime, we are more than happy to answer any questions and to lend advice while you plan for your event. Please do not hesitate to contact us with anything you need! Q: Will my bridal party have a rehearsal previous to our event? Q: When do I need to submit a final head-count? A: We don’t need to have your final head count until your final meeting the week of your wedding. If you are adding additional people to your reception, it is essential that we know in advance for staffing and catering purposes. Q: Are children included in my headcount? A: Children 5 years old and younger are not included in your final headcount. Q: Are outside vendors that I’ve hired included in my headcount? A: The Balcony Ballroom allows for up to 4 hired vendors to work your wedding without being included in your head-count (i.e. photographer, videographer). The Balcony Ballroom does not discriminate. All races, religions, creeds, and sexual orientations welcome.